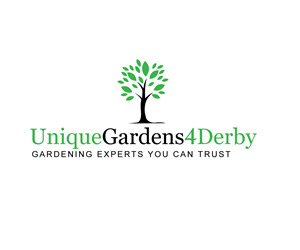 Unique Gardens 4 Derby, are a local gardening company who are experienced, talented & passionate about gardening. You deal with the same person at all times � Attention to detail � Fully Insured � Guaranteed Work - Free Consultation Unique Gardens 4 Derby do Garden Clearances, are Tree Surgeon Specialists & provide services for Smaller Gardens. We bring your garden to life because gardens are a place you should be proud of, where you can relax, entertain and make time for yourself. Contact us so we can transform your garden! Excellent service. 2nd time I had trees trimmed, Phil and his associates always consult as to where you need doing and execute job well with politeness. My sister has dementia and can no longer tend to her garden. It was in need of a good tidy up so that she can sit out with her carers during the summer months. When the gardeners came, they did an excellent job at a reasonable price. Friendly people who are happy to help and who we will continue to have through the year. My sister now has her beautiful garden back. Geoff has been looking after our garden for several months as we do not have time to look after it ourselves. He comes every 2 weeks. He is a very good worker, has sensible input and never leaves without clearing up. I would recommend him to anyone needing a helping hand in the garden. Very polite team, worked well. Left garden in a tidy state. Well pleased with work. Done quickly and neatly. Would use again. Very helpful. Excellent communication and work. The tree surgery was a gift for my father who was very pleased with the work. Highly recommended service throughout. Excellent company with very good communication throughout. The work done was top notch, and the staff were more than helpful. Will use again! Very nice people who put customers first. Friendly & hard working. On time & reliable & good price would recommend.